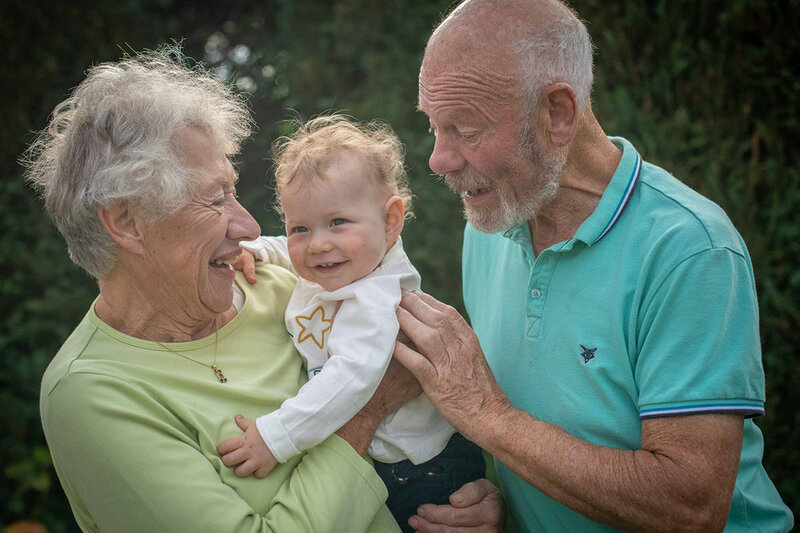 I was booked by Theo and Albie’s Dad, Tim, for a 90 minute photo shoot to capture some natural pictures of the grandparents with the two children. Both sets of grandparents live in the States and were over in England visiting for a month. We began with a few formal family photos before letting the children get on and do what they do best - play! Big brother Theo was keen to show me how he catches damsel flies while his baby brother Albie giggled away as the long grasses tickled his feet! Their Mum helped raise a few smiles with her impressive range of farm animal noises!! Sadly my photos can’t record noise because they’d have had you in stitches almost as much as the rest of us!! The photo shoot was performed in their back garden. Here are a few of my favourite shots.